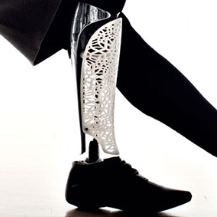 No 3D application creates greater excitement than 3D printing & scanning for medical purposes. 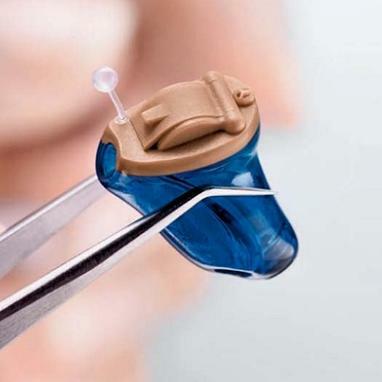 The ability to create hearing aids, dental implants, orthopaedic supports and prosthetics--all individually tailored to the patient's unique requirements--is reducing costs and transforming lives. 3D scanning technology has advanced to a point where creating accurate 3d models of a patients limbs or teeth takes a matter of minutes using devices that are affordable and easy to use. And new breakthroughs in tissue engineering and devices with the ability to print living cells look to take patient specific healthcare even further than ever before. iMakr's team of experts is working with the leading institutions in the medical and dental fields to offer a range of printers and scanners that are on the absolute forefront of the industry. 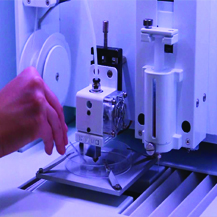 From bio-printers, to SLA printers to body scanners, we've got the technology and expertise you need to take your research or business to the next level.